What if you think someone might be your Twin Flame on one hand, but on the other hand you feel like it’s never gonna happen, or it would be insane if it did…? Well then, I have something for you. Check out the above video, “Is He My Twin Flame? True Telltale Signs When There’s Total Chaos! True love can be crazy…But how much crazy is good, or safe? I once met someone who made my heart and soul sing–I felt like I had died and gone to heaven. That is until heaven became a bad trip and couldn’t get out. I was suddenly single again, lost, and struggling to stay sane. I was certain that my beloved was the one, my true Twin Flame and my soul was all IN. I turned away many good men in hopes that he would return. I was sure he would come back, but in my case he did not, and luckily I hired the right mentor to help me get his claws out of my aura and move on! As a Twin Flame Matchmaker, I see this all the time… Women go crazy over someone they think is there Twin Flame, and sometimes it is, sometimes it isn’t. And it’s totally normal to not believe someone who is a divine match is a counterfeit. So it’s utterly confusing! Watch my recent video from my “Is he my Twin Flame” playlist here, to help you break free from all this confusion…. Are you wondering if you should proceed if your spirit is giving you all the signs and symptoms, or hold off if your situation doesn’t make sense? 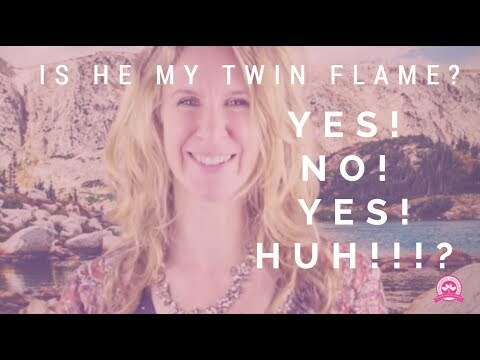 Watch the vide “Is He My Twin Flame? True Telltale Signs When There’s Total Chaos! here,” and find out! Just because it’s just not working, do you throw in the towel?! It’s SO confusing…I have so been there sister, and I am here to help you move through the madness and confusion so you can align with true GROUNDED magic that leads to Twin Flame Marriage. Aho! Attend the upcoming FREE Twin Flame Masterclass here. Boost your Sacred Feminine manifestation skills right here Register for this complimentary ceremony that happens each new moon, to help you clarify your goals, learn about manifestation, and tap into ritual in sisterhood! Ready for your ultimate beloved? Take the BIG next step of getting a session with Dr. Amanda Noelle worth $1,000 at a promotional rate that comes with a few awesome bonuses. Check out her special packages here! Enjoy the video, like, comment, subscribe, and STAY WELL!